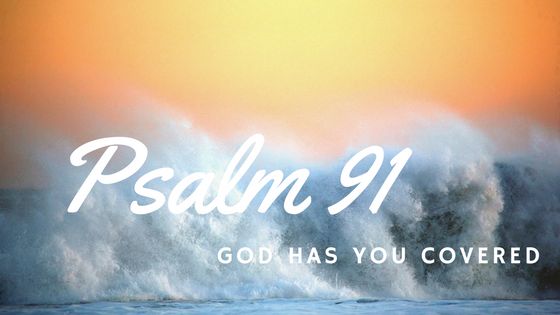 Psalm 91 is a familiar and loved portion of scripture for many, containing over twenty promises. Each promise exemplifies as aspect of God’s sovereign protection. Many birds are known for the way they offer complete protection for their young by holding them safely under their feathers. It is an image depicting both gentleness and strength. Typically a fortress was built of rock on elevated ground, often surrounded by a moat or high wall. Declaring God as our fortress is saying He alone is our ultimate protection. Because this is my firm confession and solid belief, I have rest and can live free of fear. Is there evil around us? Most assured! The psalmist now encourages everyone to the same acknowledgment toward God. For He commands angelic armies to guard you, lifting your up in their hands giving you supernatural empowerment to face the fiercest foes. The “lion” here represents all open and violent foes; the “cobra,” all secret and malignant ones. The young lion (kephir, the lion in the height of his strength) and the serpent (tannin, the most dreadful form of serpent) shalt thou trample under your feet. It’s one thing when I say something or when you say something to be true. It is totally different when God declares truth! satisfying us and saving us! I spent much of life not realizing God’s desire to be intimately a part of my life. From Genesis to Revelation is God’s invitation to “dwell” in Him – the shadow of His Presence. I encourage you to respond to His invitation today! Make the Most High your dwelling place. The place where you choose to stay. He alone is the place of rest and shelter. The Lord God has you covered!